Tamarind tree (Tamarindus Indica) is known for its edible pulp of fruit, used in cuisines globally. This piquant fruit is used in edible products and its seeds which were considered as waste earlier are now used to produce Tamarind Kernel Powder, a high value product. A seed is composed of approx. 60% – 65% of kernel. It is a viable and optimum component of the manufacturing process of varied products. It has excellent gelling and adhesion properties which makes it a suitable for food and pharmaceutical industries. Tamarind Kernel Powder (TKP) is widely used in the food industry for making products such as ice creams, sauces, flavoring, baked food, pet food and ready to eat edibles such as instant noodles. Due to its high water absorption properties, it is applied in food manufacturing industry as adhesives. This is also considering it is natural and due to it being rich in protein, carbohydrates and fiber. Tamarind kernel powder is utilized in the food industry as it is odorless and it can retain high viscosity for the longer period of time. Thus, it serves as an emulsifier and a stabilizer in food grade. 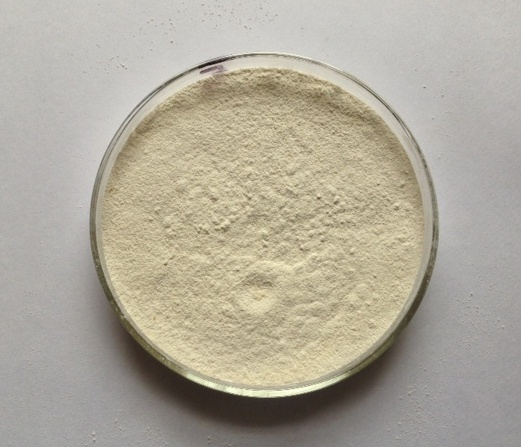 The white tamarind kernel powder is used in the pharmaceutical industry due to its binding properties. It also compensates as a solution for sustained and controlled release in ophthalmic medicine and spheroid medicines such as Diclofenac respectively. It is used in direct compression tableting methods and weight granulation. Its capacity to retain consistency, stress and viscosity makes it ideal for tablet production. Thus, it has various medical applications for orthopedic, skin-care and several other health benefits. Tamarind kernel extracts are well known for their capacity to boost elasticity and hydration of the skin. Treating Fractures and broken bones. Its thickening property makes it an effective delivery system for ocular drugs by prolonging exposure of medicine to the eyes. The tamarind kernel extracts serve as an excellent moisturizer for the eyes. Conclusion: Tamarind and its derivative such as Tamarind Kernel Powder are valuable by-products. It contributes to the manufacturing of the food and pharmaceutical products to certain extent due to its exceptional properties. At Altrafine Gums, we use quality tamarind seeds which are processed by cutting-edge manufacturing system to produce a supreme grade tamarind kernel powder. The company has earned prestige by offering a range of high-quality products such as Guar gum powder, Cassia Tora Powder, Psyllium Husk & Powder, Sesbania Gum Powder, etc as well as unmatched customer service to the clients throughout the world. The Tamarindus Indica is a leguminous plant of the family called fabaceae. The plant was indigenous in the African continent, but later spread to other continents mainly to the Indian sub continent where is has grown for a long time. Currently, India is the largest producer and exporter of the tamarind kernel products. It exports processed tamarind pulp to the European, Arabic and most recently to the American continent. The plant is a perennial shrub that can grow up to a height of 18 meters, with the crown taking an irregular vase shape and has very dense foliage. It grows well in full sun. The flowers are inconspicuous, having red and yellow color with an elongated shape. The fruit is a fleshy and juicy pulp and maturity is noted by a brown and reddish color. The fruit is noted to have a sweet to sour taste that is high in tartaric acid, sugars, vitamins and calcium. The tamarind seed kernel is the source of important chemicals used in various industrial applications. The seeds are a rich source of proteins, with fats and oils comprising of up to 16 % of the total composition. The crude fiber percentage is low in the seed being approximately 20%, and tannins at level of 20%. Majority of the remaining component is carbohydrate going up to 57 %. The seed kernels of the tamarind comprise of 48% of the gel forming polysaccharide, which can be referred as the jellose. It has the ability to form the gel in a wide range of PH, in the presence of sugars and alcohols and also in a range of temperatures. This is one of the major industrial uses of the tamarind kernel. Since the seed can be obtained in abundance, it is comparatively cheaper than other gelling agents in industry. The usage of the tamarind as a food additive is mainly from its gelling properties. It is therefore used as a thickener, stabilizer in Ice creams, mayonnaise and cheese products. It is also used as an important element in rheological control in aqueous solutions. An excipient is an inert substance used as diluents and carrier for drug delivery to the body. It also serves to protect the chemical ingredients from deterioration and disintegration. The Tamarind seed polysaccharide called the glycosaminoglycan and galactoxyloglucan, show good characteristics of natural excipient. They are stable suspending agents and can also be used as effective binders in tablet formulations. For people whose bodies cannot digest gluten, their diets must be free of any form of gluten mainly wheat based products. The gluten which acts as a dough binding agent can be replaced with the tamarind gum to produce the same effect. It is also high in lycine, and good for people with lycine deficiency. The tamarind Kernel powder is derived from the Tamarind Indicia L plant. The plant has been grown in more than 50 countries of the world, but the major producing areas are in the Asian countries. The fruit is a legume pod with a soft and acidic pulp containing a number of seeds. Each pod has at least 12 fully formed seeds. In industrial processing, the seed is a byproduct of the tamarind that has been underutilized. The seed of the tamarind can act as an important source of carbohydrates, fats, proteins and a source of valuable carbohydrates. The tamarind Kernel powder is also extracted from the seed. This TKP can be roasted and used for jelly formation and making of bread and biscuits. The deoiled tamarind Kernel is used as a dehydrating agent in the manufacturing of various powder products. It is also used as an emulsifying agent. To get the deoiled tamarind, the flakes of the polished seeds are subjected to a process of extraction that reduces the oil level from approximately 7% to a point of approximately 1.25%. This allows the product to be then milled into a fine powder. The chemical properties of the tamarind Kernel powder can be modified and improved through its interaction with other gum forming substances. This is done after understanding the viscosity profile of the powder and its behavior in a liquid combination with other compounds. The changes occur depending on the molecular structure of these hydrocolloids and the interaction of the ions in solution. There has been increasing interest in use of the tamarind Kernel powder as an additive in food formulations. Decorticated seeds have in the past been used in the jute and textile industries but this is a small fraction of the potential uses of the product. The product has potentially more applications in pharmaceutical manufacturing, confectionaries and even in pet food making. Research has shown that the tamarind Kernel powder causes a substantial increase in the thickness or the viscosity, despite usage in lower volumes. It can therefore be industrially adopted for use in flour to improve the paste formation properties at a relatively cost effective process. When this process is effectively controlled, the utilization of this product will help to impart heat stability and retrogradation in the food, and hence high quality product is obtained. There has been limited usage of the tamarind Kernel seed in industry. Usage has been limited to sizing functions especially in the textile industry. With more research on the properties of the plant, there will be increased usage in food related applications. Research has shown that the tamarind Kernel powder can be cost effectively used to increase viscosity in food processed food products. It has been observed that the powder enhances the quality of flour pastes, as well as enhancing the efficiency at which the pastes are manufactured. 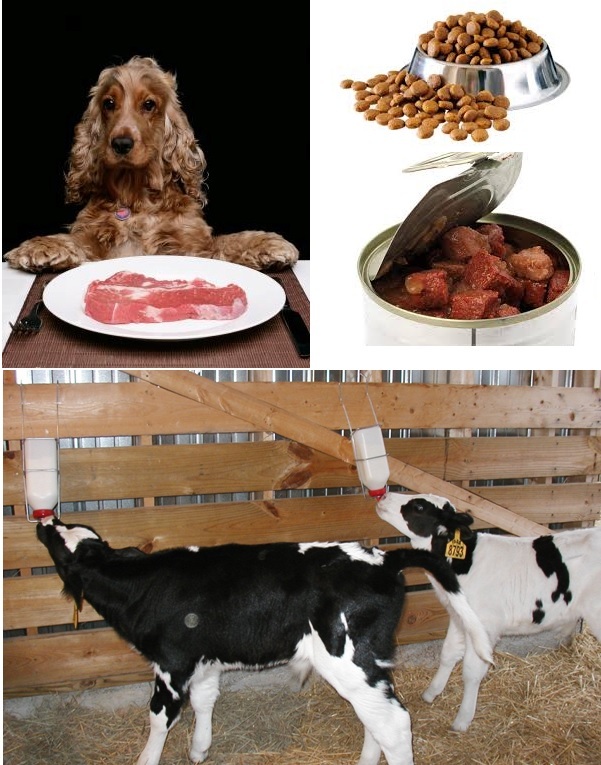 How Food Industry and Pet Food Preparation Benefit by De Oiled Tamarind Powder? Tamarind seeds contain comparatively greater percentage of endosperm ranging from 70 to 75% and especially white kernels are used widely in pet food preparation like cattle feed. The seed of tamarind has the capacity to form a uniform solution when heated with water and it provides higher level of viscosity when dispersed in water for more than 20 minutes. It can comparatively absorb more water quantity than the endosperm of other seeds and due to this absorption capacity is produces greater productivity with compromising pH range also. It is applied in variety of industrial applications. When it comes to food industry tamarind kernel produces good effect in terms of the natural viscosity it contains and for the same reason Tamarind Kernel Powder for food product preparations like dairy products, ketchups, meat product, pet food, instant noodles, etc. Why Tamarind Seeds are De-oiled? De-oiling is the process of removing oil content and as far as endosperm processing is concerned; de-oiling is the method of removing oil from the seeds. The endosperms of tamarind seeds are prepared free from oil presence and the final product stays beneficial in many ways. The procedure of de-oiling tamarind seeds prevents a kind of odor which tamarind kernel powder naturally releases. De-oil process also helps to stabilize the kernel powder of tamarind seeds prevents from color deteriorating. De oiled tamarind kernel powder contains 12% of moisture content, 03% of ash, and 0.2 % of crude fiber, 65% of pectin, 65% of protein, 55.0% of polysaccharides, etc It contains 6.0 to 7.0 pH level that makes it safely applicable for preparation of pet foods. pH level appears to be quite compromising in de-oiled tamarind kernel powder. In addition to that it is one of the cost effective alternatives when it comes to stabilizing ingredients applied in industrial applications. De-oiled tamarind kernel provides more stability and prevents odor of pet foods in spite of providing moisture stability. Preferred for odor free property. Altrafine is a leading processor and supplier of guar gum powder, tamarind kernel powder, fenugreek gum powder and many more processed endosperm powders of different plant seeds. These products are applied widely as important ingredients to obtain several intended properties like viscosity, stabilizers, emulsifiers, etc. We provide tamarind kernel powders in normal form and in de-oiled form. 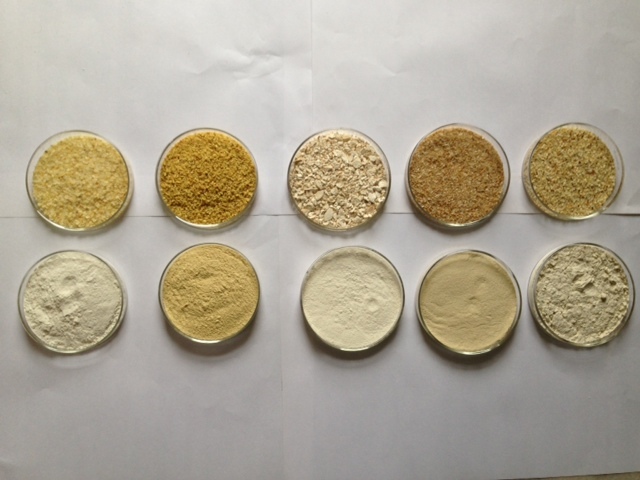 With a big team of R &D professionals to support for obtaining fine grade of tested endosperm powders, we are able to sustain with great reputation in the domestic and world market. Tamarind kernel powder in de-oiled form is removed from the oil content and this product stays effective to prevent odor while adding as an ingredient and works effectively as a stabilizing agent in pet food. 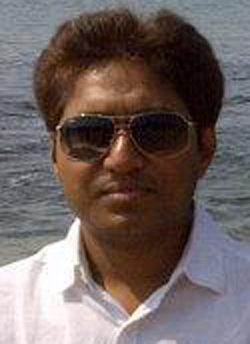 This Article has been written & posted by Ajit Patel. Food certification schemes are proposed to obtain reliable standards which in turn remain safe for the consumers to make use of the food products and food ingredients reliably. 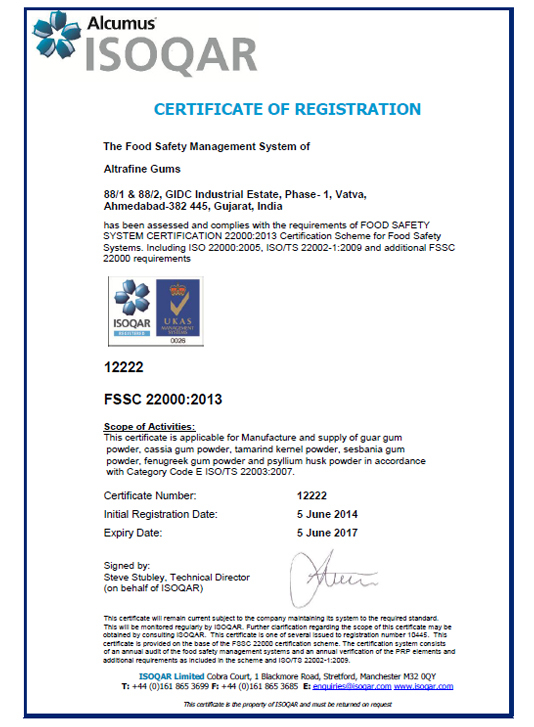 FSSC 22000 is one of the highest certifications provided for food safety. It is internationally accepted certification that is based on existing ISO standards. Altrafine Gums is a leading gum powder manufacturer in India that works with proper FSSC 22000 Certification. It is ISO-based accreditation process that supports for improving business scope for food industries in development, manufacturing and distribution. Complete food safety, management auditing and subsequent certification helps for systematic business enhancement and consumer’s trust on the company. Obtaining proper documentation for food industry over global acceptance is very important for both consumers and manufacturers. The certification standards include evaluation of various phases in the food industry starting from processing to application of consumable and safe ingredients, grading, packaging and distribution. Altrafine Gums has the privilege of being an ISO 22000:2005, ISO/TS 22002-1:2009 and FSSC 22000 certifications company in India as well that favors our products to hold good demand in world market. Our Gum powder manufacturing process is subject to regular monitoring by ISOQAR through successfully completing auditing of food and food ingredient safety and management systems. All our Gum powder varieties are tested for Performance Reaction Process prior to certification. It is the company’s responsibility to prepare for onsite auditing which includes ensuring good practice in manufacturing, packaging of food grades in accordance with transport safety, shelf life, and distribution of food products on time. When it comes to Gum powder preparation, it involves identification of the product into vegetable or animal product and processing the same under strict monitoring by ISOQAR. Only licensed certification organizations that are linked to FSSC by all legal terms are eligible to issue FSSC documentation. The process includes analysis and verification of overall production unit under proposed regulatory accreditation bodies which in turn finalize the report by stating if the company has been ensured of all the regulations of FSSC. Altrafine Gums is monitored by ISOQAR that supports for reviewing and analysis. ISOQR is one of the independent certification bodies operating in UK which is accredited to FSSC 22000. It holds the power to conduct audit in organizations over diversified norms including quality, maintenance of production premises, production environment, food standards, etc. There are some important steps involved in achieving FSSC 22000 certification. The first thing is to apply for registration by filling questionnaire which will be followed by judgment of FSSCC 22000. This is an additional qualification of food companies which already have obtained ISO 22000. 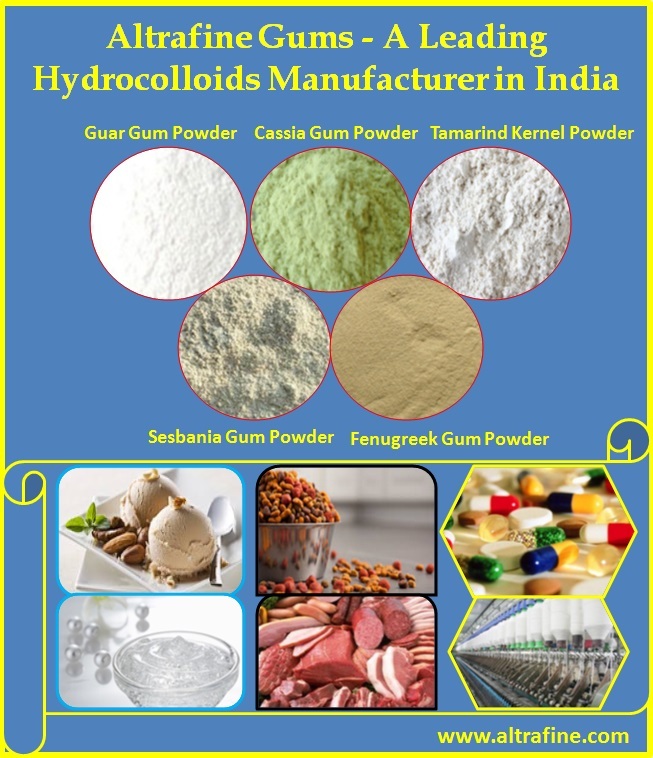 We maintain genuine methodology in processing endosperms and in obtaining higher grade of gum powders including, guar gum powder, cassia gum powder, tamarind gum powder, sesbania gum powder, fenugreek and psyllium husk powder etc. FSSC 22000 is an ISO-based chain approach that serves companies that manufactures food products, food ingredients and end use food products like guar gum powder. It helps for maintain safety aspects of food products as well and remains an important feature to improve business in global market. Tamarind gum is a product of a seed of Tamarindus Indica also known as kernel. It has several functions that include functioning as a stabilizer or even as an emulsifier in the food, paper and textile industry. It can also be used in the cosmetic and pharmaceutical industry. However, in this case, it is used in the form of the tamarind gum powder. Tamarind gum is sourced from the tamarind seed; a byproduct of the tamarind pulp industry. The seeds are enclosed in pods. They range in quantity of between one to ten seeds per pod. The tamarind seeds morphology is irregular in shape, flat or in some cases they are rhomboid. They are also extremely hard. They have a shiny appearance, red in colour or in some cases purplish brown. These comprise of tannins and dyes in the seed coats that enhance the unsuitability of the seed for direct consumption. These dyes are harmful when consumed by man. These coatings however can be eliminated by soaking and boiling in water to enhance direct consumption. Tamarind seeds are the raw materials in the manufacture of tannins, adhesives as well as polysaccharides especially jellose. It is however insinuated that these seeds when roasted have more flavor than groundnuts. Tamarind gum ha s a white and light yellow pigmentation with no taste when raw. It is highly hydrophilic and hence highly soluble depending on the type. There are two types. One species is soluble only in water that is over 80 degrees Celsius. This species is normally dispersive in cold water and may also swell. The second species is soluble in water of a low temperature of 20 degrees. It is also freely flow able. It also possesses a high resistance to high temperatures, salinity, thawing as well as freezing. It is thus these properties that offer the characteristic functions of stabilization, water keeping, gelatinization, emulsification and thickening. Tamarind gum is also insoluble in various organic solvents. It also has limited changes in viscosity even when under high temperatures of 120 degrees Celsius for half an hour. The tamarind gum obtained from seeds possesses a high relative antioxidant activity thus inhibits the growth of oxidants that spoil food. This property aids in the increasing of the shelf life of food products. This also aids in enabling the stability of lipids and thus prevents the diminishing of the nutritional quality and sensory effect by avoiding lipid peroxidation. Tamarind gum also possesses anti inflammatory properties. This is because it inhibits reactions against the human neutrophil elastase. It functions as body defense mechanism especially when the neutrophils are attacked. To know more about tamarind gum please click on following link: https://altrafine.com/tamarind_kernel_powder.html. The tamarind seeds or gum has anti microbial activity especially towards staphylococcus aureus, bacillus subtilis, Escherichia coli and Pseudomonas aeruginosa, most of which are harmful. The seeds also posses other significant properties such as: Anti-nematodal ability, cytotoxic ability, moluscicidal ability and anti-diabetic ability. Emulsifying agents are added to liquid ingredients to stabilize the mixture. In the industries an emulsifying agent will ensure that oil and water, when combined, do not separate, but are distributed evenly in the mixture so as to prevent separation. 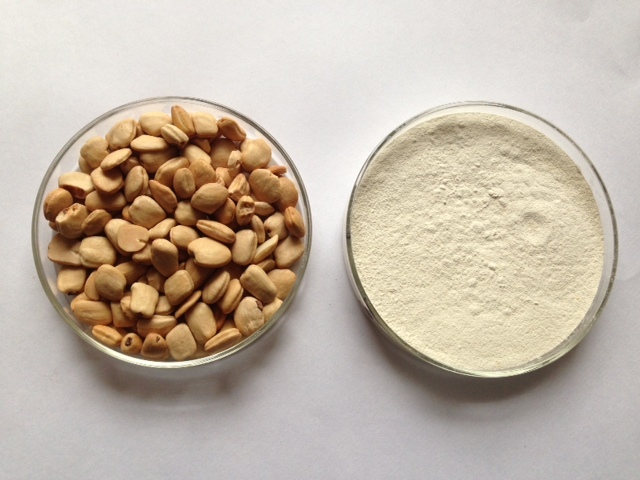 A number of emulsifiers are natural products which are derived from plant tissue such as tamarind, guar, fenugreek, as well as cassia gum, which are all top emulsifying agents. Guar gum for instance is an emulsifier and stabilizer which is used in a wide range of foods as well as pharmaceuticals. Emulsifiers and stabilizers perform much the same job. Stabilizers help to maintain the physico-chemical state of a foodstuff while emulsifiers form or maintain a homogeneous mixture of two or more liquids which cannot be mixed such as oil and water. Water and oil always try to re-create their natural surface tension,which can be prevented by the use of emulsifiers and stabilizers. ■Fenugreek has superior characteristics when you compare it to other gums. It is a legume and part of the Fabaceae plant family with tremendous medicinal and nutritional properties. Fenugreek gum with galactose has superior solubility and dispersiveness and forms stable colloid for a long time. Galactose is hydrophilic and mannan is hydrophobic, making fenugreek an emulsifier that mixes water and oil, increases viscosity, and forms aqueous colloids. Fenugreek galactomannan can be used as a stabilizer for food. ■Cassia for instance is a naturally occurring galactomannan derived from the endosperm of the senna obtusifolia, a wild plant which grows in India and which is used as a food additive as well as being a thickener gelling agent and stabilizer in many food applications. It undergoes rigorous purifying standards. 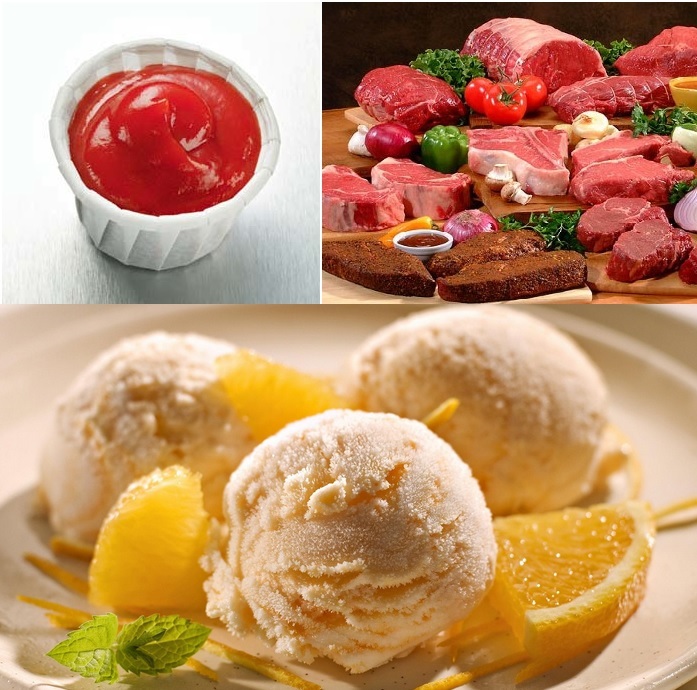 Cassia gum can form gels with other colloids and is sought after for its use in the manufacture of pet foods, being used as a texturing agent and for moisture retention. ■Guar gum is also a versatile product with various applications like being a natural thickener, gelling agent, emulsifier, stabilizer, fracturing agent and binder. Guar gum, also known as a cluster bean or guaran and is also grown in India, with up to 1.25 million tons of guar being produced annually. Fast hydrating, it is useful in the oil extraction industries. It is widely used for industrial use because it is so economical and also because it has a powerful water-thickening potency with only a small amount being needed for producing sufficient viscosity. It is widely used in industry as an emulsifier, being able to prevent oil droplets from coalescing. The main use of guar gum is in top hole oil well drilling, and industrial grade guar gum powder is used in oil well stimulation, oil well fracturing and mud drilling. It is used for mud drilling, cementing slurries and cooling of drill bits where high viscosity and quick hydration is required. Other benefits of using guar gum is that it is safe to handle, it is bio-degradable and it hydrates quickly in cold water. Tamarind gum powder is derived from the seeds of a tree called Tamarindus indica linn, more specifically, the endosperm of the seeds. 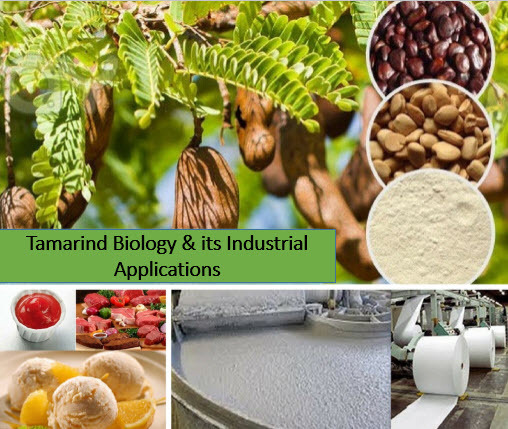 Tamarind gum powder has been applied in many industries, including pharmaceutical, textile and food industry, owing to its properties as an emulsifier, and its ability to form a gel or solution in water or change viscosity of a liquid (thickener). There are basically two different grades of tamarind gum powder which are used in specific industrial applications like pet food, cattle feed, textile and pharmaceutical industries. These are oiled tamarind kernel powder and the de-oiled tamarind kernel powder. The oiled tamarind kernel powder is the best product for use in textile applications while the de-oiled product is used to feed pets & cattle and is valuable product for pharmaceutical applications as well. Tamarind kernel powder containing the oil content in it is a suitable product for use in textile industries. It has got unmatched thickening property and hence is used as thickening agent for better fabric production processes in textile industries. Textile sizing is the main application where this oiled tamarind kernel is employed. It has unmatched penetration and fiber forming characteristics which make it an an important component for use in sizing of textile fabrics. The product is basically soluble in hot water as compared to other gums like guar which can rapidly dissolve in cold water. It is easily dispersible in water and expansively swells in the boiling water. Upon cooling, this can be employed used for textile printing on fabrics with disperse, cationic and acid dyes. Tamarind kernel powder can produce excellently bright and levelled shades on fabrics. Hence it has valuable applications in textile sizing, dyeing and printing applications. Tamarind gum powder used for pharmaceuticals is the deoiled product obtained after the oil extraction. The de-oiled flakes obtained after oil extraction are grinded to obtained the deoiled tamarind kernel powder which is a valuable product used for manufacture of drugs and tablets because it can improve dissolution of the medicinal products that are of poor solubility in water. Tamarind gum powder for pharmaceutical acts as a thickener too. It has been applied in the manufacture of bioadhesive tablets, and it was noted that lactoferrin tablets that contained tamarind gum powder or goma tamarind could stay longer in the oral cavity compared to those containing xanthan gum. Tamarind gum has found diverse applications because of its diverse properties and is used oiled and deoiled forms. Tamarind gum powder for pharmaceutical is used to improve dissolution of components that are poorly soluble in water, in the manufacture of tablets. It has also been found that lactoferrin tablets containing the gum can stay for longer in the oral cavity. It is also used as an emulsifier and thickener. When used in textile industry tamarind gum gives excellent sizing and dyeing applications because of its valuable properties. It is soluble in hot water and produce shades on fabrics and hence is an important component for textile printing processes as well. Hence tamarind kernel powder has got various applications in textile and pharmaceutical industries but when used in different forms as the oiled and the deoiled product. 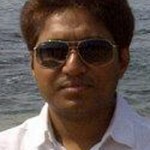 How actually is Tamarind Kernel or Tamarind Gum Powder Manufactured in Industries? What is Tamarind Kernel Powder? Tamarind kernel powder is a substance derived from the seeds of the tamarind tree botanically referred to as “Tamarindus Indica”.The tamarind tree is an evergreen tree that has its origin in Africa but is very abundant in the Indian region. The tamarind tree is drought resistant hence will do quite well in semi arid areas that experience minimal precipitation , the tree usually grows to a height of 5 metres but is also known to reach heights of up to 25 metres (80 feet). The seeds are contained in kernel or pods that are 3 to 6 inches long with each pod containing approximately 8 to 10 seeds. A full grown tamarind tree usually yields between 175 and 250 kilograms of kernel/seed. To know applications of tamarind kernel powder please visit: https://www.altrafine.com/tamarind_kernel_powder_applications.html. 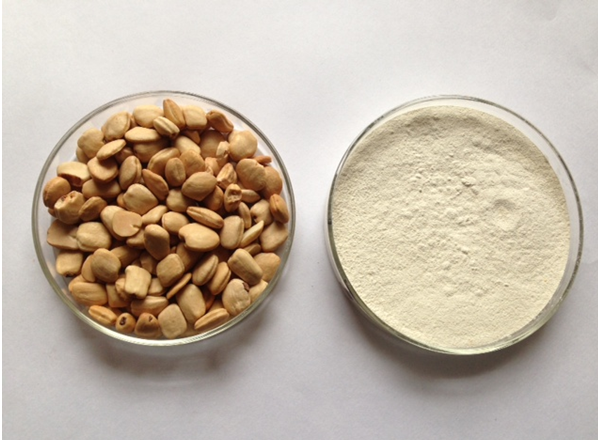 How Tamarind Kernel Powder is processed? • Sorting: – The harvested pods are broken open to remove the seeds which are further separated by removing rotten seeds, debris, stones and keeping the good seeds. • Roasting: The Good seeds are passed through heat which roasts the seeds; this process makes the seed coat brittle while having little effect on the endosperm. • Stripping: After the roasting process, it becomes easy to separate the seed coats from the endosperm through a process referred to as stripping. • Grinding: The endosperm is then milled or ground to separate the endosperm from the germ hence creating the tamarind kernel powder. • Screening: The tamarind seed powder is further screened to produce the fine powder which is later mixed with a solvent to form Tamarind gum powder or goma tamarind in Spanish. • Insoluble acid:-ash 0.4% (regular) and 0.3% (deoiled). • Total ash:-3.9% (regular), 3.4 %( deoiled). • Crude fibre:-1.2 %( regular), 1.1% (deoiled). • Protein:-7.6 %( regular), 19.0% (deoiled). The above components are what give gum or powder from tamarind seeds the binding, thickening, film forming and gelling properties which are ideal in the various chemical processes. Statistics show that the demand for gum or powder processed from tamarind seeds or kernel is on the increase as more industries crop up leading to the upsurge in demand. The increase is experienced both locally as well as internationally; this has led to people turning into tamarind tree cultivation in order to cope with the demand hence boosting production.